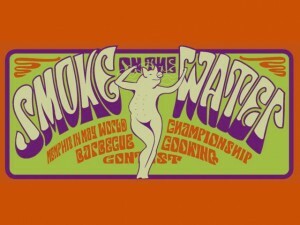 100k reported souls wondered the grounds of the 2013 Memphis In May Barbecue championship only to discover that they are forbidden to sample the meats being cooked by the teams. I can’t imagine a barbecue competition in Texas where you would be treated so poorly. The general rule of thumb for smoked meat shootouts in Texas is arrive early and arrive hungry. You can’t make it ten feet without somebody trying to put a plate of brisket and a cold beer in your face. Stuffed? Expect the kindly entrants to pull out gallon ziploc bags and try to get you to take a to-go sack stuffed full of smoked meat. Tennessee needs to step up their game considerably. This year’s Memphis In May competition saw 250 teams compete and when the dust had settled Sweet Swine O’ Mine had emerged as grand champion. Of interest to Texans: In the beef category, Fireman John’s BBQ was the victor. Of interest to approximately 27 people, Smoking Razorbacks took the nod in the “Hot wings” category. This category does not exist in Texas. The real barbecue championship is determined in Meridian Texas each year in the Bosque Bottoms fairgrounds. 20k is on the line in this invitation-only smoked meat shootout. And you won’t go hungry like you might in Memphis. This entry was posted in FOOD, The Foodist and tagged 2013 memphis in may winners, barbecue, meridian texas, smoking razorbacks, sweet swine o mine, tennessee barbecue. Bookmark the permalink. Brother, Get your facts straight. Get off your high horse and research a contest before trashing it. PS…The VERY best in BBQ compete at the “King of the Smoker” competition, where the Grand Champion winners of all the Big BBQ contests in the country (including Texas contests) go head to head to prove who is the best in Barbeque, not just of “Texas BBQ”.